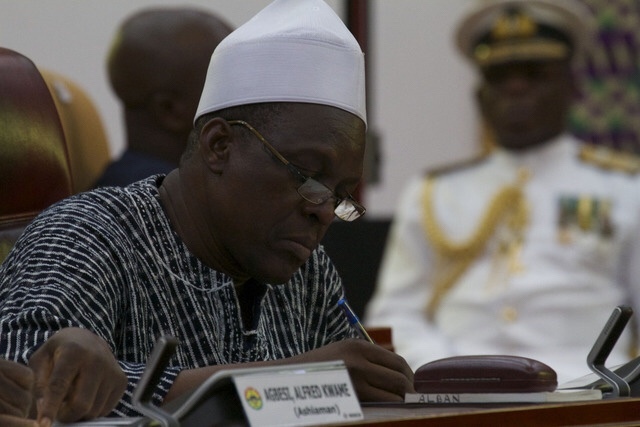 The Second deputy Speaker of Parliament Alban Bagbin has apologised for his attacks on former ministers Dr. Seidu Danaa and Dr. Omane Boamah. “I assure all Ghanaians especially, Ghana Federation of the disabled, other Civil Society Organisations, and the NDC family who by one way or other felt offended by my alleged comments of my respect and support for persons with disability. I render my heartfelt apology to you all. I want to take full responsibility for the indiscretion in going public with issues that should otherwise be private to the NDC,” he told a news conference in Accra Tuesday. It comes after a massive public backlash over what many deemed as an attack on physically challenged people in the country. Bagbin attributed the poor performance of the previous National Democratic Congress government in the last Presidential and Parliamentary elections to the appointment of the two disabled persons – a stammerer Dr Omane Boamah and Dr Seidu Danaa, a blind person. Bagbin slammed former president John Mahama for appointing Dr. Boamah as Communications Minister, despite being a stammerer. “I learnt from tradition that it is not the chief that speaks, it is the linguist and, so, when you are a leader, you must have a very good linguist. “When Prof [Atta Mills] was in power, Haruna Iddrisu was our linguist in charge of communication, when my brother John [Mahama] came to power, he substituted him for Dr Omane Boamah who is a natural stammerer,” the Nadowli Kaleo MP said during his tour of the Volta Region. He added: “He is a very intelligent boy, he is smart but when he is speaking, he wastes time in coming out and Ghanaians do not have that much patience, so, they are always looking for those that are rattling.